enjoyed the gathering of both assemblies. official visit of Supreme Worthy President Ms. Kim Burnett. North Platte at this official visit. at the official visit of Supreme Worthy Pr esident Ms. Kim Burnett. presided at the official visit of Supr eme Worthy President Ms. Kim Burnett. presided for the of ficial visit of Supr eme Worthy President Ms. Kim Burnett. 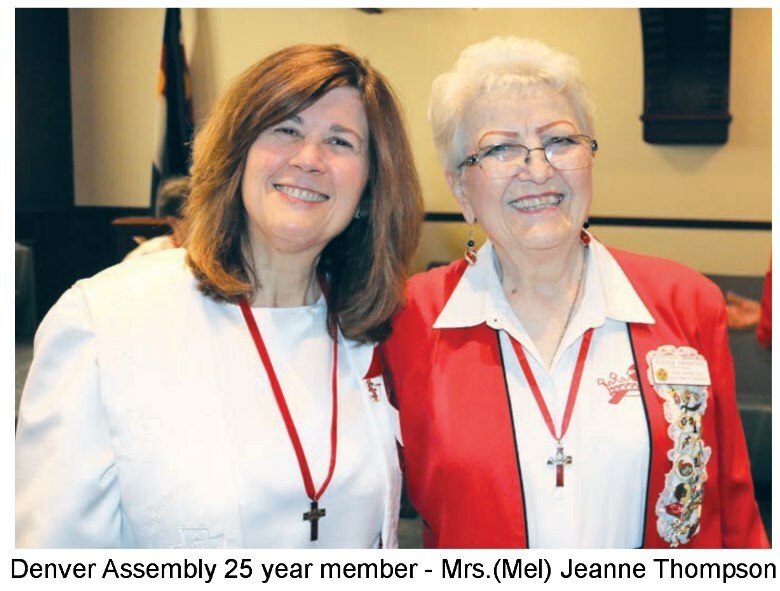 Official Visitation to St. Joseph Assembly 123, (Mrs. Marlin) Sharon Slagle, worthy president. 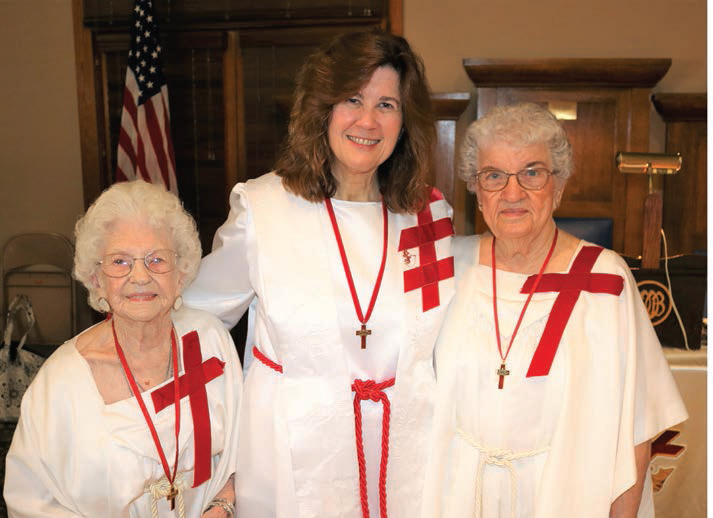 Beauceant Sisters at the 2018 Mid-America Easter Observance. 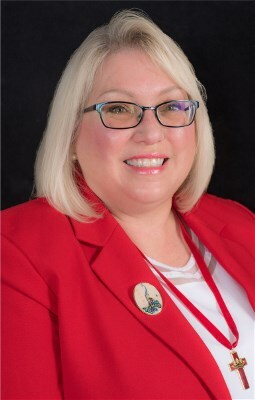 Ms. Kimberly Burnett was installed as supreme worthy president of the Supreme Assembly of the Social Order of the Beauceant on September 28, 2018, at the close of the 98th Supreme Assembly held in Las Vegas, Nevada. 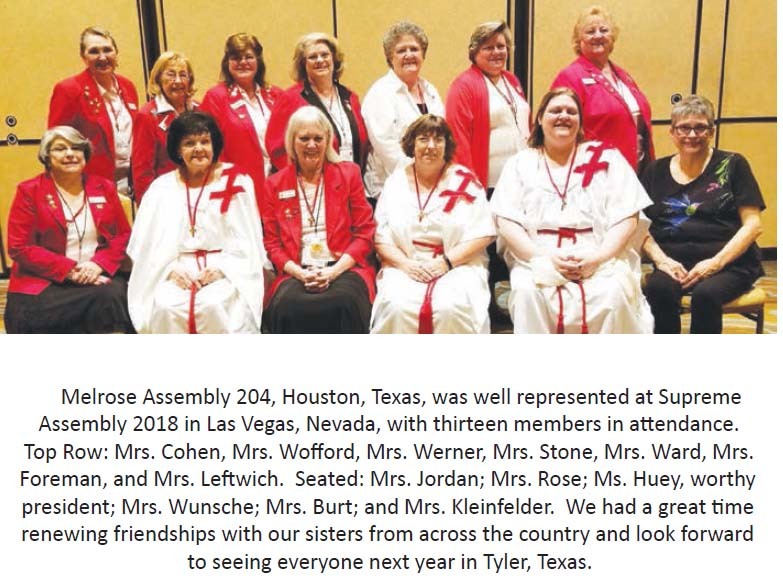 She will preside during the 99th Supreme Assembly to be held in Tyler, Texas on September 25, 26, 27, 2019. Kim was born in Middletown, Ohio, and her family moved to Columbus in 1970. She and many members of her family attend the United Methodist Church in their area. She and her siblings were raised in an active Masonic household, going back multiple generations. She is a majority member of both Jobs Daughters International and the International Order of the Rainbow for Girls. 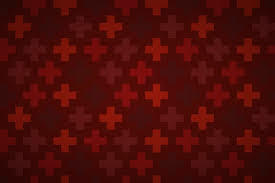 She is also currently a member of the Order of Eastern Star (past matron) and a member of Daughters of the Nile. 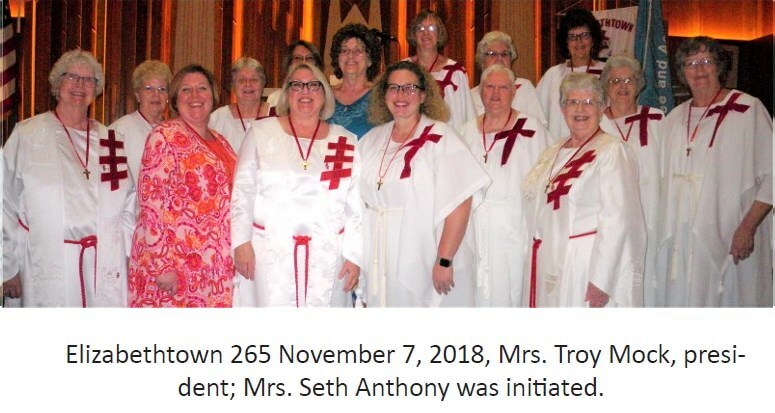 The family’s Masonic tradition continued when her son, Tom, nephews, and niece joined the Masonic youth groups. 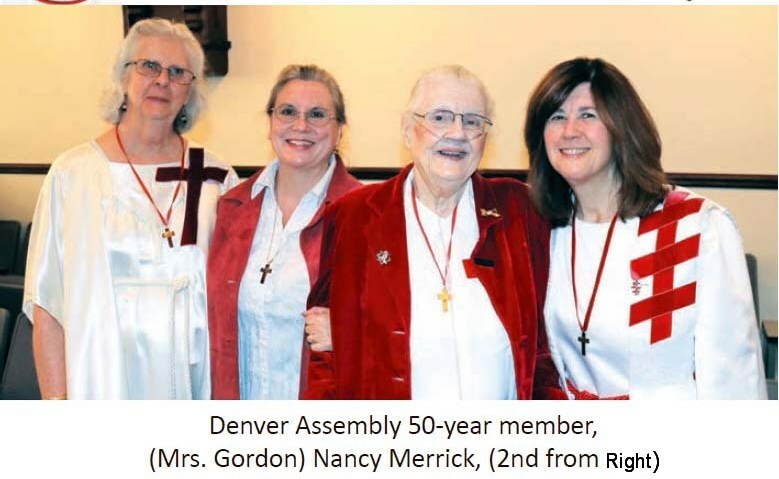 In 2006, at the urging of her mother (Mrs. Arthur) Patricia Glass, she and her sister were the inspection candidates for Columbus Assembly 79, at (Mrs. David) Sonja Alcon’s first official visit. She has held a variety of offices in the Assembly and has been president three times. In 2016 she became a dual member with Cleveland Assembly 15. Ms. Burnett worked for the Ohio Department of Transportation (ODOT) for thirtythree years. During her tenure with ODOT, she worked for the information technology division in a variety of areas. Ms. Burnett also holds a commercial driver’s license, and she performed snow and ice removal as an “extra” driver for ODOT in the central Ohio area. At the time of her retirement, she was the supervisor of the technical and customer support sections. Ms. Burnett is looking forward to visiting each Assembly in the United States, enjoying fellowship, renewing friendships, and making new friends. She will be promoting the Knights Templar Eye Foundation as the official philanthropy of the Social Order of the Beauceant, which is dear to her family, as grants from KTEF led to finding a treatment for macular degeneration which affects many in her extended family. (Mrs. N. L.) Nan King (left); (Mrs. Kenneth) Juanita Jeffrey (right). Port Arthur 160, Texas. Mrs.
Pawtucket Assembly 217, October 9, 2017, (Mrs. Robert J.) Jean, Allen, worthy president. Lynne Greenwood presided at the meeting.